WCVA is working with Welsh Government to review the provision of grants for volunteering across Wales as part of a broader vision for the future of volunteering and the services that support it. At a national level, grants delivery to date has been through the Volunteering in Wales Fund and GwirVol and the intention is to move to a single volunteering grant fund (to be called Volunteering Wales Grants). This will cover all geographical areas and ages, with specified priorities and themes. Grant-making decisions will also be aligned to fit within a financial year, an arrangement that should be better for monitoring and administrative reporting as well as for delivery. 2016 -17 will be a transition year in the move toward a new annual grants cycle. The Prince's Countryside Fund has opened for applications from projects in the UK that can have a long-term positive effect on rural communities. For the Spring 2016 round, there are specific funds available to help the rural communities affected by the recent flooding following a series of storms over the winter. The Trust is actively seeking applications from organisations that are supporting farmers, rural businesses and communities to recover following the flooding or projects that are focused on assisting the recovery and future resilience in these rural areas, particularly Cumbria, Lancashire, North Yorkshire, Herefordshire, Northumberland and Scotland. Not-for-profit organisations, charities, social enterprises, Community Interest Companies, companies limited by guarantee, and unincorporated associations based and working within the UK can apply. Improve the viability of British farming targeting the areas of greatest need. Improve the sustainability of rural communities targeting the areas of greatest need. Developing Thriving Rural Communities by improving service provision in rural areas. Projects should provide innovative solutions to deliver assets and services that keep rural communities together and develop a more sustainable rural economy. Transforming Rural Livelihoods by supporting rural enterprise and farming businesses. Projects should focus on developing stronger, more sustainable farm and rural enterprises with the aim of halting the decline of the rural economy. Creating the Farmers of the Future by providing training opportunities for young people and the unemployed. Projects should help improve skills and increase opportunities of taking up rural careers, in particular in farming, with the aim of helping people to remain within and contribute to the rural economy. The deadline for applications is 13 April 2016 (midnight). Grants of between £1,000 and £10,000 are available to empower local people, enabling them to create lasting change in their communities. Build skills of local people. Respond to local economic needs. Residents associations, community centres and groups, Social Enterprises, Community Interest Companies, Community Interest Organisations and Credit Unions in Clwyd, Dyfed, Gwent, Gwynedd, Mid Glamorgan, Powys, South Glamorgan and West Glamorgan are eligible to apply. Projects should be run by people directly affected by the issues they are dealing with, and priority will be given to small, locally based groups or organisations in areas of disadvantage that have a clear understanding of the needs of their community. The deadline for applications is 30 April 2016. JustGiving donations missed out on gift aid after HMRC ruled 'love from mum and dad' unacceptable: Donations website JustGiving has said it was ordered not to apply gift aid to donations on its website signed off with messages of support by more than one person, such as 'love from mum and dad' - at a cost of millions to charities. Financial assistance is available to support projects that aim to understand and combat fuel poverty in the European Union. Funding is available for projects that contribute to understanding and addressing the causes and effects of fuel poverty. Grant applications will be accepted for work based in the UK and other EU countries only. The subject of research needs to demonstrate direct relevance and application to UK fuel poverty policy. Rigorous academic and/or public policy-related research. Robustly evaluated action projects which either build on existing proven models or offer innovative new models with the aim of achieving population-based effective interventions. Dissemination and promotion of proven good practice, for example through appropriate workforce interventions, social media, toolkits including online tools and workshops including online congresses and webinars. Technical support for, including scoping of, novel and innovative pilots and demonstration projects and the evaluation of them. Fuel poverty and health and wellbeing. Fuel poverty policies and energy systems. Low-carbon policies, behaviours and practices. Fuel poverty and rural communities. All types of organisations and individual research consultants are eligible to apply for grants of between £2,500 and £25,000. The work can be based in the UK and other European Union countries. The deadline for applications is 3 June 2016. Grants are available for organisations to carry out UK-based or international projects that use digital technology to improve the lives of the disadvantaged and vulnerable and to strengthen communities. Funding and support is provided to enable entrepreneurial organisations with a basic, but functional, digital prototype to develop it into a more robust product or service and demonstrate its value to intended users and other stakeholders. Grant funding, typically between £15,000 and £50,000 for a project of 9-12 months duration. A support package including mentoring, marketing and comms advice and networking opportunities. Access to a discretionary fund of up to £5,000 to access specific expertise to support early-stage development. Projects should use digital technology to tackle pressing social challenges such as the environment and sustainability, education, employment and healthcare. The Trust does not ask for an equity stake nor request loan repayments, and allows successful ventures to retain any IP developed. Entrepreneurs, teams, start-ups and organisations who want to apply their talent and technology to address UK social issues. Individuals can apply for funding but if successful they will be required to form a registered legal entity. The deadline for Stage 1 applications is 14 April 2016 (12 noon). Trustees, charity professionals and volunteers should be aware of online extortion or ‘ransom’ demands currently affecting UK businesses. This is because charities could also be vulnerable to attack and so are encouraged to be vigilant. This advice is particularly relevant for those charities which operate overseas and/or deal with international partners in high risk zones. The information contained within this alert is based on reports made during the past week, to Action Fraud, the UK’s national fraud reporting centre. make a note of the attack, recording all times, type and content of the contact. Charities need to be aware of the imminent danger posed by this fraudulent group and to take appropriate steps to protect their charity’s assets and good reputation - both of which could be damaged if the ransom demands of the group are met. I urge all charities, if they suspect they may have fallen victim to such extortion or ransom fraud, to report it immediately to Action Fraud. Police and Crime Commissioner Christopher Salmon has launched round four of a funding scheme which improves the lives of the people across Dyfed-Powys. The Commissioner’s Fund offers grants of up to £5,000 for charities, voluntary organisations and community groups to develop ideas that have a positive impact on the area they serve. The first three rounds saw 70 initiatives benefit with more than £250,000 in Carmarthenshire, Ceredigion, Pembrokeshire and Powys. They ranged from a Ceredigion programme of safety education for young people to a Powys project which wanted to protect people threatened by homelessness. A Pembrokeshire arts project received £5,000 to reduce social isolation and a Carmarthenshire group received £4,000 to highlight the risks of socialising online. In round four, the projects – to be nominated by frontline police officers and Dyfed-Powys Police staff – will once again reflect Mr Salmon’s 2013-18 Police and Crime Plan for Dyfed-Powys. They could, for example, educate, protect or support vulnerable groups, or aim to change the behaviour of potential or persistent offenders. Grants could pay for essentials such as educational toys, sports gear, publicity material, training, transport costs, venue hire, volunteer expenses or running costs. The scheme is funded by the proceeds of crime awarded to the police and from the sale of unclaimed found property. Projects are not nominated by the public or organisations but by police officers and police staff, and approved by a senior officer. Total funds are reviewed regularly, with this fourth round offering £70,000. Applications open today (note: Feb 26) with a deadline of March 31. Beneficiaries will be announced in May. The Commissioner’s Fund does not fund individuals and sole traders, profit-making organisations, statutory bodies, organisations not established in the UK and projects already receiving money from his Office. It won’t pay for items such as contingency costs, endowments, feasibility studies, alcohol, political or religious activities and projects that the state is obliged to provide. Organisations in the UK are now invited to apply for funding to promote or provide access to drinking water in public spaces where children and young people gather to learn, play or congregate. In August 2015, Jamie Oliver - in collaboration with Sustain - established the Children's Health Fund. The aim of the Fund is to encourage restaurants to put a 10 pence levy on non-alcoholic soft drinks with added sugar. Money raised from this levy will be paid into the Children’s Health Fund to support programmes and schemes designed to improve children’s health and food education. UK registered charities that operate within the UK. Grants of between £500 and £5,000 are available for projects which will be completed within one year of receiving the money. The financial viability of the organisation. The degree of need for the project requiring funding. Whether the organisation has appropriate priorities and plans in place to manage its activities. The deadline for applications is 1 April 2016. From March 2016, the Santander Foundation will be known as the Discovery Foundation. The change in name has been chosen to reflect the important role it will play in Santander UK's new flagship community programme The Discovery Project, which aims to help disadvantaged people gain the confidence needed to make the most of their future. The pre-existing grant programmes – Community Plus, Money Skills and Learn and Grow – have all now been streamlined into one singular grant scheme, the Discovery Grant. These grants will support projects addressing knowledge, skills and innovation to give disadvantaged people the confidence to discover and create a new world of opportunities. - Explorer - improving knowledge and insight: examples include a series of Money Management workshops to help people understand how to budget and identify the affordable credit choices available to them; a Freedom Training course giving abused women knowledge of how to regain control over their lives. - Transformer - developing skills and experience: examples include work-based training and mentors to help socially isolated people develop skills to get back into work; sign language training for parents with hearing impaired children; teaching young people with autism vocational skills. - Changemaker - innovative solutions to social challenges: examples include a new social networking program for visually impaired young people which uses specially developed braille laptops to access the internet; an inclusive cycling social enterprise which adapts bicycles to enable people with disabilities to enjoy the outdoors. Grants are available for one year only and can be used to cover the costs of part time salaries, equipment and materials. The Discovery Foundation wishes to fund a whole project, rather than make a contribution to a larger budget. A simple nomination form can be picked up from any local Santander branch, however applicants that are not near a branch can download a form online. Nominations can be made by organisations and members of the public as well as Santander customers and staff. Applications will be accepted at any time and successful applicants will be notified by email within a month of submitting their application. 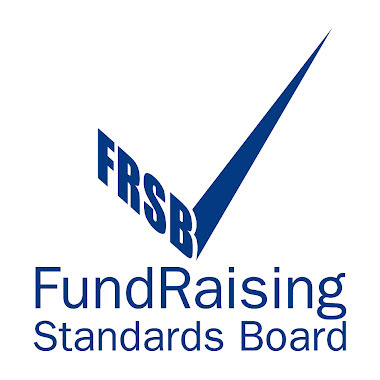 The Institute of Fundraising has produced a useful guide for Trustees entitled 'The Trustees Guide to Fundraising'. For funding support and guidance don't forget PAVO has Development Officers who can support your organisation, on all aspects of funding. Contact us on 01597 822191. Are you a heritage organisation based in Wales? Do you need help or advice with your fundraising? Whether you're new to fundraising or just need some new ideas to freshen up your organisation's approach then WCVA's Catalyst Cymru-Heritage Fundraising project can offer you free help and support to develop your fundraising skills and success. The Voluntary Arts Week Microfund invites self-led cultural groups and projects in Wales to apply for £250 to put on an event during Voluntary Arts Week.